eBay is once again in the crosshairs of an activist investor, this time Elliott Management, which said it “beneficially owns” over 4% of eBay, making it one of the company’s largest investors. The last time an activist investor took aim at eBay (Carl Icahn), it resulted in capitulation, with then eBay CEO John Donahoe and the board of directors breaking up the company and leaving it much smaller and weaker. eBay is still feeling the impact of the attack as it attempts to roll out its own payment processing system now that PayPal is a separate company. Former top eBay executive Dana Stalder, now a partner at a venture capital firm Matrix Partner, tweeted of the news: “Sad, but not unexpected, eBay has become the next AOL > Yahoo! of tech giants.” That has to sting – it’s unprecedented for former eBay executives to speak negatively of the company. eBay is set to release fourth-quarter and full-year 2018 earnings in one week, January 29, 2019. Hop on over to the EcommerceBytes Blog to leave a comment and see what others are saying. Strange how this comes a week before earnings. More strange is how the market is betting on the come. Gotta go…I have a semi full of turd polish I need to list. HA HA HA just a disgruntled stockholder rattling the sabers of hot air. Nothing will get the idiots in the ivory tower moving on anything. Like the Democrats that hate Trump so bad that they can’t see the forest for the tree in front of them, the idiots in the Ivory Tower hate Amazon so bad that they will do anything to be their twin sister. ebay is bleeding sellers. It needs a tourniquet, not a massage therapist. Finally some refreshing and accurate news about eBay. I’ve been following their stocks the past few months and watched it drop, then rise, then insider sales, then drop yet again. Latest was Wendy Jones to dump stock. I was even further pleased to see that Elliot Management identified what we have been screaming about all along. The instability of the platform and the fact that ” the company needs to make sure it has the right leaders to implement the changes”. Boy, that must have given Wenig the big slap he’s been needing all along. I could almost feel it in that statement. Addressing the constant changes in the top leadership. My Oh My….I really think their time has come and quite a few have their days numbered. Perfect!! Maybe sellers are finally going to have their day. GREED IS THE GREATEST HATE CRIME OF THEM ALL. Gone are the days when robber barons such as Carl Icahn are brought to justice, This phony philanthropist uses his tax-exempt status to hide his fortune and escape paying tax. His international price fixing is indeed a criminal act. He has robbed billions by price fixing the metals market. Despots such as these use their billions to place themselves above the law. While the metals market is at an all time high, especially with the tariffs in place. He is only paying half of scrap metals price. Robbing the most needy. The ones picking up aluminum cans or hauling scrap metals to help supplement their income. This creature should be brought before Congress and then thrown into prison for using laws to rob people.What does it take to stop these greedy corporate despots? These are truly vile creatures. The prosecutors are busy using their office to prosecute opposing political views all-the-while letting these criminals walk free. It is also possible that Icahn is just an senile idiot setting back and allowing others to manipulate and control his companies. However; it still his responsibility. It’s an interesting read although it disappointingly lacks specifics on exactly what they should stop and start doing. But they make fair points about the valuation ratios being poor relative to other players and that margins are eroding consistently. The reason that I’m ramping down my eBay operation is not because of the platform stability issues that are a big part of their message. Agreed that those are speed bumps, but the problem is that the road is heading in the wrong direction. My issue is that eBay is burning through its cash chasing esoteric innovations with a long lead times and uncertain ROI and that they are NOT investing in simple changes that would help me make a decent margin. If I don’t make a margin then I will quit the marketplace, so they don’t make a margin. The biggest issue as far as I’m concerned is that they have Cassini running their business on auto-pilot, and Cassini loves lots of low price inventory from poor quality sellers. The algorithm favors high stock turn and disregards DSRs. A computer without additional data cannot determine whether a listing priced towards the high end of the bell curve is a quality offer that will sell if given views, or a listing that’s a waste of everyone’s time. As a seller operating at the ‘quality’ end of the scale eBay doesn’t give me the tools to differentiate my listings from those of the ‘junk out’ merchants operating at the low price points, with mediocre customer satisfaction. By killing the premium that I used to be able to achieve when it was the “quality” of the listing and reputation of the seller that determined what would sell, I can no longer make an adequate living on eBay. If the future is about selling on price then that’s fine, I’ll switch to selling new branded products on Amazon where I can at least scale the volume side of the equation. 1. Customer satisfaction (i.e. DSRs or equivalent) affects search placement. At the moment only ‘Cases’ are considered. Achieving 5.0 DSRs is just a vanity project – eBay ignores that effort. 2. Seller accreditation – e.g. a Premium Seller rating for experts in a particular category who have achieved a volume/expertise/service threshold. “Gold Star” sellers should be clearly flagged on the search results page. There should be the ability to filter search for accredited sellers only. 3. Gating of the “refurbished” condition categorization. This should be limited to accredited sellers and there should be item specifics detailing what work has been done. Right now anyone can claim that they have refurbished the item and based upon my experience as a buyer it means absolutely nothing. eBay’s margin problem comes from the fact that they are very good at flooding the platform with inventory and that results in a constant fire sale approach to what gets surfaced (and fed to Google shopping). Devin is presiding over a massive race to the bottom. I sell professional items to people buying on their business’ account. They don’t want the lowest price. They want the least risk offer. By pushing low priced, low quality product at them eBay is under serving their needs, creating a poor buying experience and leaving money on the table. Margin is being flushed down the drain for lack of appropriate development of their product and blind faith that a computer somehow knows how to implement a visionary strategy. eBay needs to embrace the fact that pricing in many categories is a curve with valid offers at both high and low points. The Product Catalog project seeks to collapse that curve into a vertical line. By eliminating the opportunity to operate at the higher end they are removing the pricing umbrella that supports all the lower priced listings. By driving the experienced sellers off the platform eBay is massively reducing the profitability of what remains in those categories. eBay needs to stop blindly copying Amazon (who sell new product so doesn’t need worry about seller differentiation) and start playing to their strengths – which is the diversity of their seller community and their ability to offer product at all points of the price-quality curve. The article mentions the executive turnover at eBay. They should be filling some of those vacant chairs with people who actually have hands-on experience of running a mail order business with decent margins. Those people should be the ones who do the review of developments to figure which ones are actually helpful. The paper is correct that eBay needs to play to its strengths, and the first step is to have a top team that understands what those are. I sold on Ebay and found the only way to turn the merchandise was to “stack it deep and sell it cheap” Ebay attracts sellers only looking for a cheap price. I sell at higher prices on Amazon and the merchandise takes for ever to sell. I took a lot of fraud from buyers to keep a 100% feedback and Ebay rewarded me by stealing and scamming me with the help of Paypal. There is just so many problems with Ebay it surprises me they r still in business. Ebay needs to attract management and CSR with integrity instead of sewer trash. They r slick con artist. There is trouble ahead for them, no doubt. They have been aware of the problem since Jan 2, 2019 and have still not fixed it or properly adjusted our invoice. They promised it would be fixed. It’s not. They said to remove our secondary payment method (credit card) and then cancel the primary (PayPal billing agreement) through PayPal. We tried, but both options were blocked, so we could do neither. eBay billed our PayPal account for $US 2,164.24 (after crediting over $8,000 of the admittedly-erroneous invoice amount). PayPal rejected the suspicious bill (monthly amounts have been between $400-499 for nearly a year) and reversed the eBay charge. eBay responded by threatening to suspend our Anchor Store account (12+ years) due to “non-payment” of an amount we never owed to begin with. eBay then charged the credit card (never used for this account and in our eBay account only as a backup that we could not remove due to eBay’s blocking that action) $2,164.24 for the $443.00 bill that should have been paid by PayPal through the billing agreement. The credit card flagged the suspicious transaction and asked for the background. After determining that the eBay billing constituted fraud, they decided a dispute would not be adequate. They then initiated a chargeback to eBay, flagged the account for fraud, and closed our credit card to prevent eBay from attempting further fraudulent billing. So now, more than 3 weeks and a dozen or more hours on the phone and countless migraines later, our credit card is now closed, there has been a 12-point drop in my personal credit rating (confirmed with TransUnion and Equifax as being a direct result of the large billed amount and subsequent derogatory change in spending-to-available-credit ratio), it appears there is more fraudulent billing activity going on this month (though we are unable to access the details from eBay to investigate), and–the icing on the cake–we are waiting for eBay to process the chargeback from the credit card company and once again threaten to suspend or close our longstanding Anchor Store account as a result of our unwillingness to convince PayPal and the credit card company to accept and pay what amounts to fraudulent charges coming from eBay. eBay has opened cases on our behalf, made copious notes, promised more than once to fix the problem (and that there is no way we would ever be billed the incorrect amount), and admitted their errors and that there is a problem with their billing system. However, in over 3 weeks, the problem has not been fixed and we are threatened with punishment and sanctions (not to mention the already-observed drop in visibility of our store and items) as if we were the ones guilty of what constitutes fraud or theft. We’re turning our efforts into developing a killer Shopify store. We will not be renewing our current Anchor Store subscription next month. If eBay continues to refuse to rectify the serious overbilling problem with our account, we will need to pursue other means of reversing the (sadly, willful, as they knew about yet failed to take action to resolve the problem) damage done. That extra $10,000 eBay was able to enter into their 4th quarter profits on paper? Maybe they can use that paper to help polish the brass on their sinking ship. eBay management simply is NOT performing at the level it should. This has driven eBay Sellers to flee the website. Whats wrong with eBay is their automation strict rules and ever changing regulations. 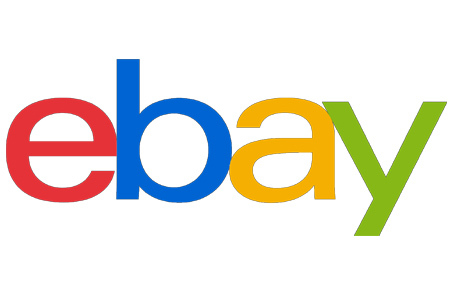 In year 2000 , eBay was a better run corporation than 2019. eBay is savable, I would love to input into eBay management just how easy it is! But management is NOT going to read this, or believe a 20 year seller knows more marketing on eBay than they do? Please HELP save eBay from itself! Again Ebay and Paypal r sewer trash.